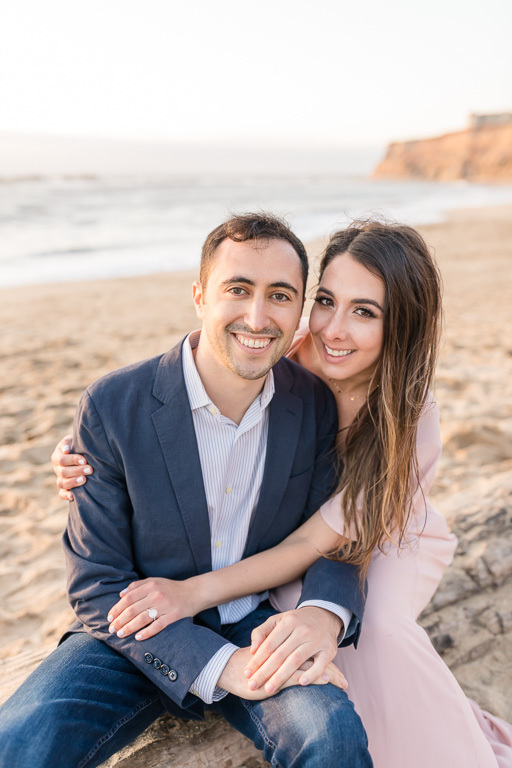 Where should I start? 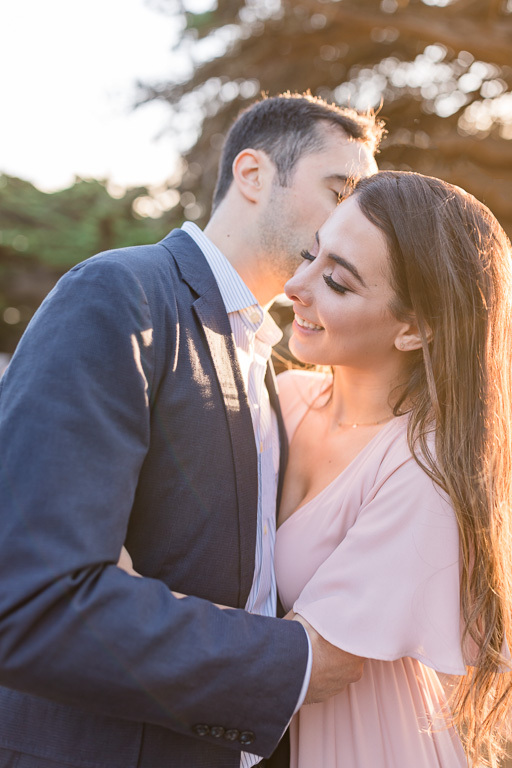 Emily and Max are two lovebirds who are just sooooo in love with each other, and I think they must’ve taken up modeling as their secret second career, because they were so easy and comfortable in front of my cameras. 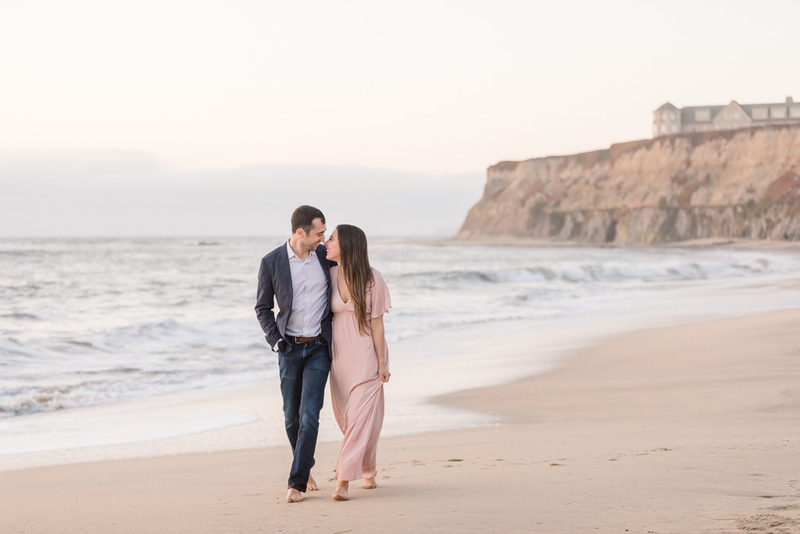 Emily really loves the beach vibe, so for their engagement session we went to the Half Moon Bay Coastal Trail. 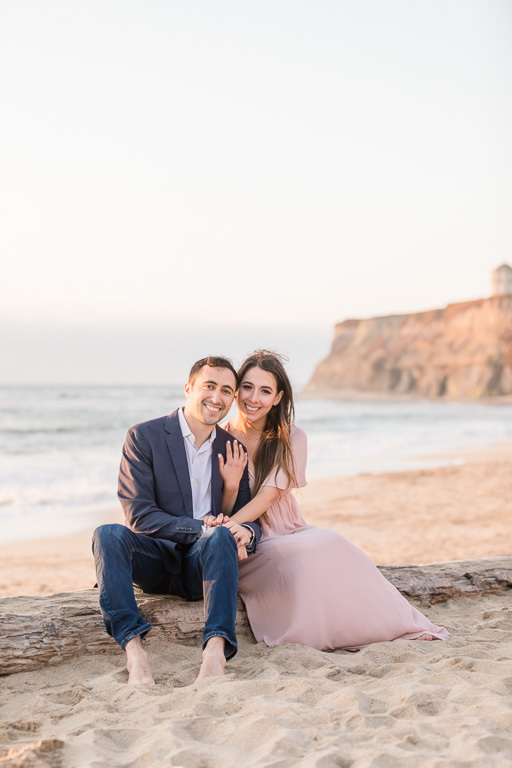 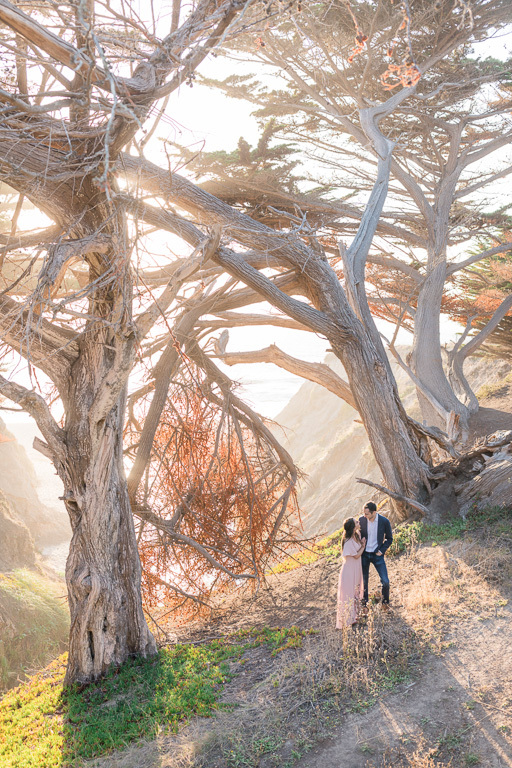 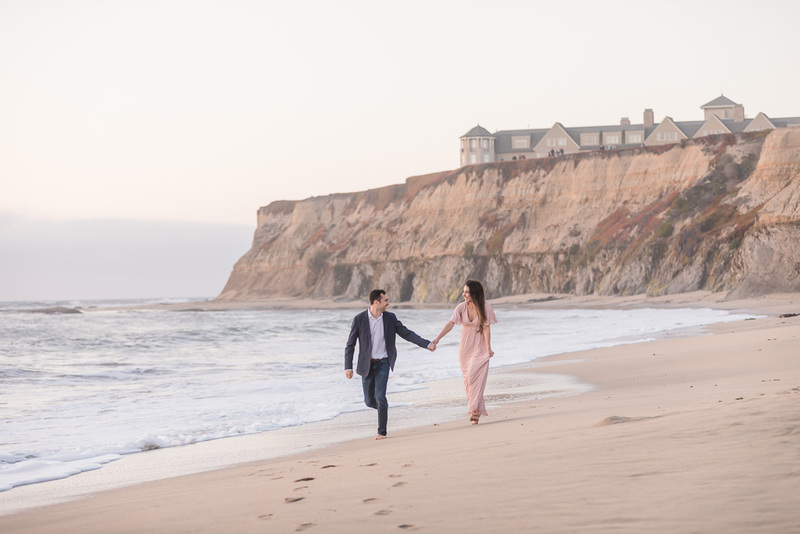 The trail itself is great, and it also leads to a secluded beach right at the bottom of the Ritz Carlton, a perfect spot for a Half Moon Bay sunset engagement shoot. 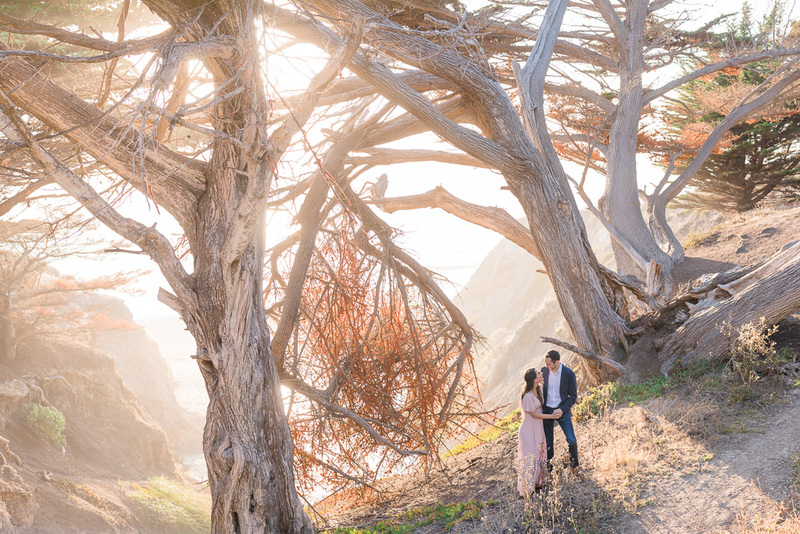 The sunset light sure didn’t disappoint, and I had a great time with them. 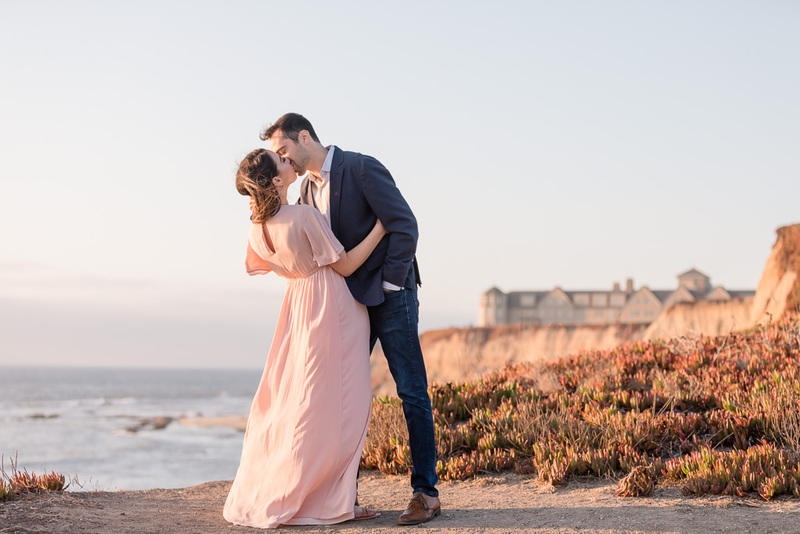 I’m not sure if it was them or me who had more fun during this shoot! 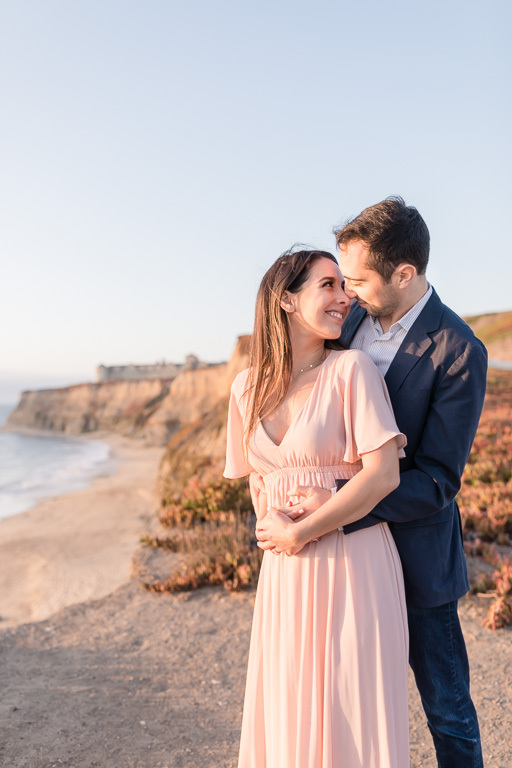 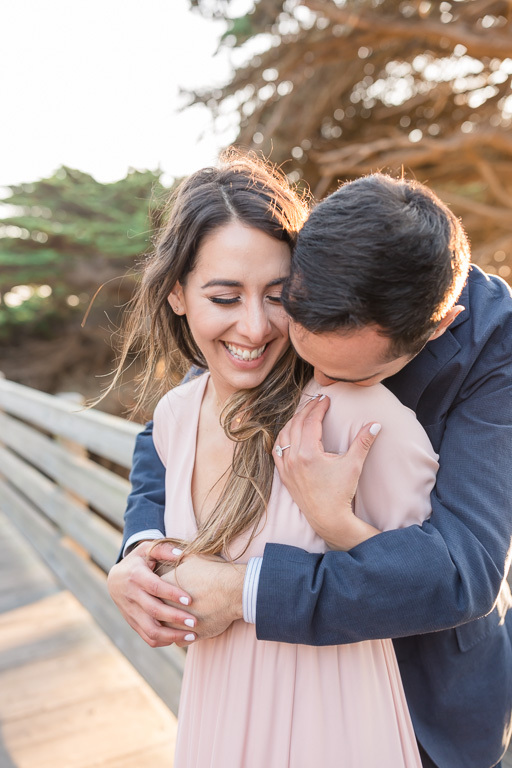 Emily and Max are getting married next September at the Mavericks Event Center, a cute little venue overlooking the ocean in Half Moon Bay, and we can’t wait!